The port’s three-week food drive was a success. The donations went directly to supporting the Houston Food Bank and their efforts of feeding over 800,000 people each year. 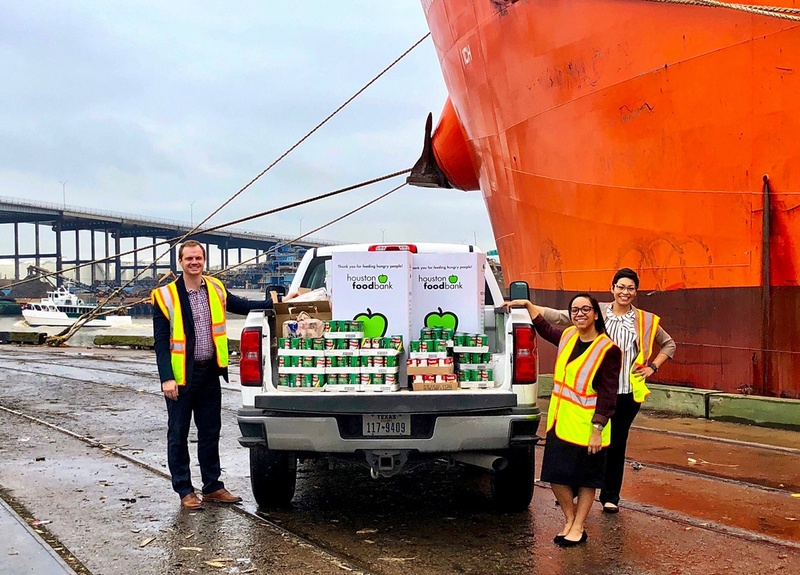 Port Houston employees donated nearly 1,000 pounds of food and additional monetary donations, which will ultimately provide over 1,200 nutritious meals. These contributions will help feed families, seniors and individuals throughout the Southeast Texas region. The Houston Food Bank is the largest of its kind in the United States, with distribution to over 600 relief charities in 18 counties. This nonprofit organization provides 83 million nutritious meals to food pantries, soup kitchens, senior centers and other agencies throughout the region. Items donated include pasta, canned goods, water and other nonperishables. Port Houston also partnered with the Houston Food Bank in 2017 for the backpack buddy project. The food drive is the port’s first community-driven program of the year. “Our community engagement has been outstanding, with record participation by Port Houston employees in 2017,” said Executive Director Roger Guenther at a recent public meeting.